West German stamps are highly collectible and sought after by many philatelists, and there are also many unified German stamps for sale on the market as well. The Western area of Germany became known as the Federal Republic of Germany, or the Bundesrepublik Deutschland (BRD), after the war. This area was comprised of the eleven states that were occupied by France, the UK, and the US immediately after Germany’s surrender. They were bordered by what would become the Deutsche Demokr atische Republic, which was still under Soviet control. The stamps issued around the beginning of this era reflected the hope and optimism surrounding the rebuilding of Germany. At that time, West Germany was experiencing a “Wirtschaftswunder,” also known as the economic miracle, and quickly became the third largest economy in the world. 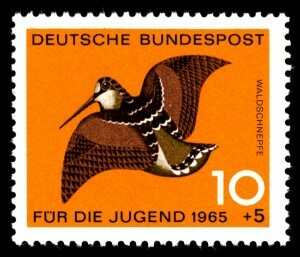 The first stamps ever issued by the Bundesrepublic were in 1949 and publicized the First Federal Assembly. Other stamps came throughout the years, such as the 1956 issues depicting the reconstruction of Europe, and 1960’s issues commemorating the Summer Olympic Games, which were held in Rome that year. Many other rare west German stamps are available. If you are a collector looking to add to your West Germany collection, we invite you to contact Treasure Coast Stamps. We can provide you with information on these exciting parts of German history, and help you source the stamps you need to round out your collection.